Late last summer I came to the awful realisation that my favourite dress to wear on a really stinking hot day had deteriorated into a terrible condition. 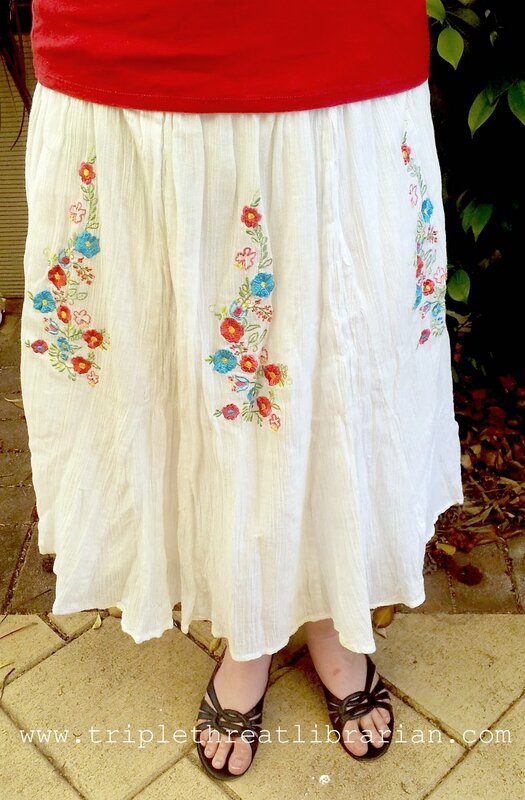 This made me quite sad as it was a pretty dress with very nice embroidery. I did notice that the damage was almost entirely on the top half so I put the dress aside intending on working out how to turn it into a basic skirt. 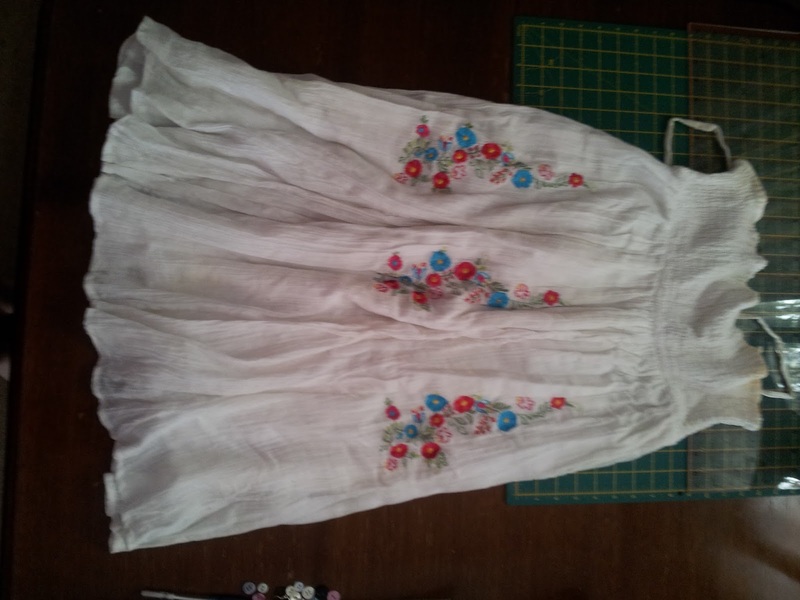 I've done some machine sewing before so know my way around a basic machine but I've not done any work on clothes or with elastic before, so this was new. Many thanks go to Mum for helping me out here. After this I naturally forgot to take more photos, but I made a waistband from inch wide elastic, sewed it into the top and rolled it over. 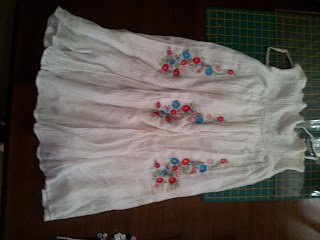 I did this with Mum's whiz-bang sewing machine as my 30-or-so-year-old ol' faithful sewing machine is in storage. Its a very nice machine. Even cuts the threads for me.The skirt might not be winning any competitions for refashioning, but it's nice to have it back in my wardrobe. I'm also working on Etsy listings for these two necklaces. They should be posted this evening. I'll put a shout out on the TTL facebook page when they're up.